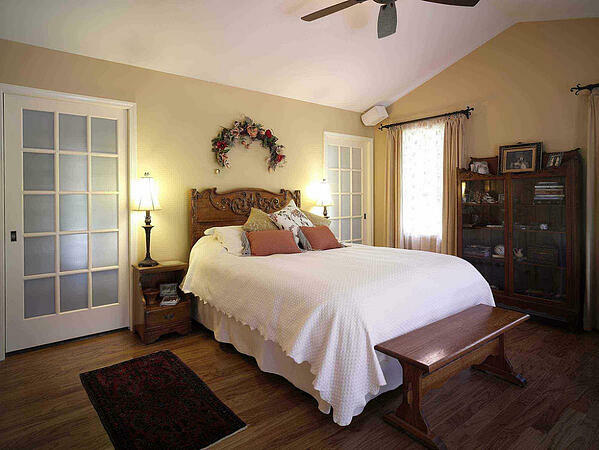 A master bedroom and bath addition is a popular remodeling project for personal comfort and enjoyment. 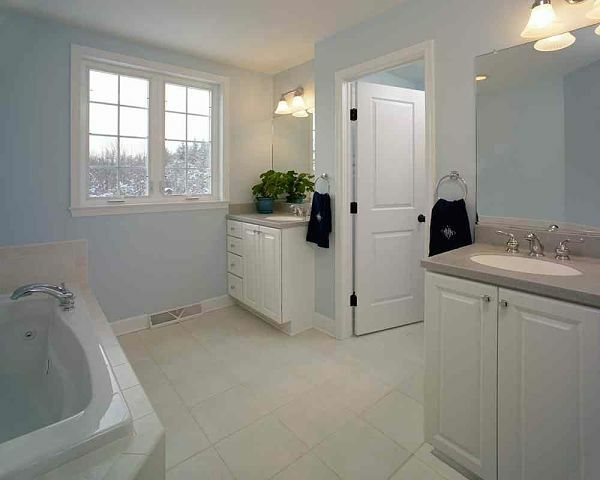 A term that you may be hearing a lot lately is “en suite.” En suite refers to a bathroom adjoining a bedroom. A master en suite may include a king size bed, multiple dressers, walk-in closets, a bath with spa features, a walk-in shower, a free-standing tub and other amenities. If space for a master en suite cannot be attained by making interior changes, many homeowners will opt to build an addition. 1. Determine whether the addition will be located on the first or second floor of your home. A first floor addition will require either a slab or foundation to support the weight of the structure. You can also expect to lose part of your yard. In terms of construction a first floor addition may be the least disruptive of your day-to-day activities. A second floor addition entails strengthening the existing structure of a home to bear the load of new construction and will likely involve removal of the roof system and some of the first floor ceiling and walls to install plumbing, electrical wiring, heating, and air conditioning systems. 2. Discuss your options with a design-build firm. Even before plans for your project are drawn it’s important to discuss your ideas with a design-build firm. There may be zoning considerations to take into account that would influence the project such as space allowances between houses in your neighborhood, height restrictions or if your home is located in a historic preservation area. The present condition and architecture of your home may also impact the plans. A design-build firm will help you to determine the appropriate amount of space needed to meet your objectives and work with you on all aspects of the project from drawings to completion. 3. Identify important elements that should be considered as drawings and plans are made. If your home is located in a neighborhood where houses are built close together, you may want to think about the orientation of windows and use of skylights to bring natural light into the rooms. Also, consider personal preferences and needs of you and your spouse. Would you want an enclosed shower or toilet area in the design? Take time to assess your storage needs. Closets, walk-in-closets, shelving and cabinet layouts should be determined during the planning phase of the project. Talk with your design professional about ways to quiet exterior noise caused by wind, traffic or even neighbors. Interior noise may also be an issue if your plan involves a bedroom with hardwood flooring, especially if the addition is on the second floor. Use of media equipment and fans can also create noise that may affect others in your home. Do your plans call for an exit to a deck, patio, pool or hot tub area? On the interior consider wider doorways and level thresholds for safety and accessibility. You will find that door widths will be very important when you move furnishings into the room. The dimensions and placement of bedroom furnishings are important in the design of your project. Are you planning to use a king size adjustable bed or a canopy bed with lighting? You may need to plan for electrical outlets in addition to wall space. Dressers, mirrors, lamp tables, chairs, a chaise and other furnishing that occupy floor space should be accounted for in the plans. Will your en suite be “a room with a view” overlooking gardens, a wooded area or waterfront? If so, discuss how to optimize the view and manage light exposure with your design professional. How much time are you willing to devote to cleaning or maintaining features you install in your en suite? Give some thought to this question as you plan. A glass enclosure for a shower or a free-standing tub will require frequent cleaning. A tile pattern with a lot of grout lines may be more susceptible to staining and is more difficult to repair when grout wears down. Stone counters require sealing. Carpeting under a bed is more difficult to clean than a hardwood floor. Dual vanities and a tub with a deck were selected for this couple’s retreat with a woodland view. 4. Give special attention to exterior features in planning an addition. An addition should blend seamlessly into the architecture of a home and look like it was part of the original plan. Talk with your design-build professional about the roof line, façade options, shingles, siding, exterior trims, doors and windows that will be used. 5. Set priorities for the interior of the master bedroom and bathroom. This suite was designed to address some special needs of the homeowners. There is a storage closet. 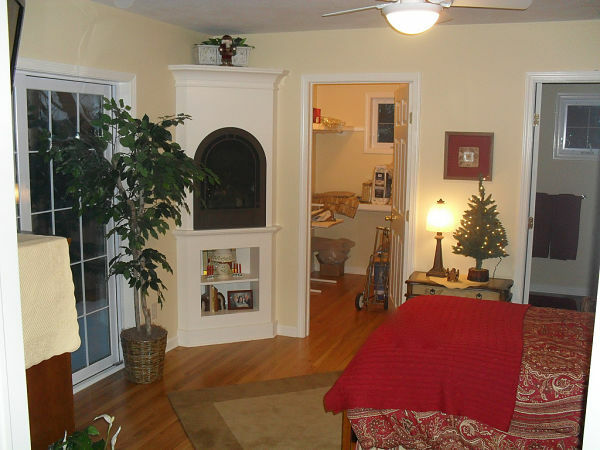 Gas burning fireplace and an exit to a patio. 6. Consider special needs of users. 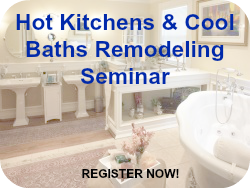 The height of users is a very important consideration in planning a remodeling project. Other issues to consider are health conditions and any limitations regarding mobility. "Universal design" is a trend that has taken hold in the remodeling industry and is especially applicable to bedroom and bath design for both safety and accessibility.